Cuyamaca College will be offering a free 36-hour course that will provide participants with the skills and knowledge to sell solar photovoltaic energy systems, including financing and incentive programs related to solar. Students will gain technical knowledge and learn to design residential and small commercial systems. Students will also be introduced to industry tools for performing calculations on their return on their investment, cost analysis and sales proposals. The training will be held from June 10 through June 17 from 8 a.m. to 5 p.m. each day except June 13, when the class will be offered from 8 a.m. to noon. 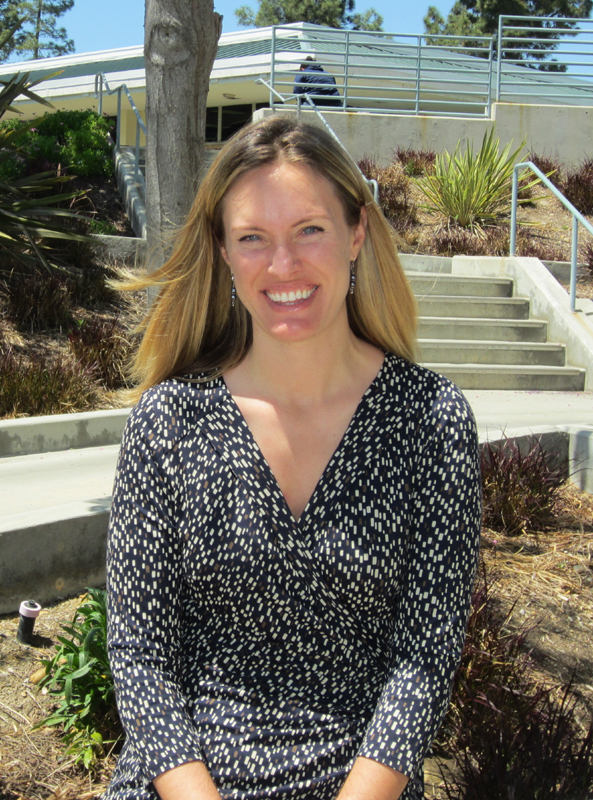 Their jobs may be different, but two employees at Cuyamaca College have a shared vision of promoting college and student success, a commitment recently recognized with a quarterly award to outstanding staff. Cynthia “Cyndy” Bourget, instructional media services coordinator, and Linda Haar, the coordinator of the child development center, an on-campus childcare facility and learning lab, were presented the Grossmont-Cuyamaca Community College District Chancellor/Classified Senate Award at last week’s district Governing Board meeting. Each received an acrylic trophy, along with a gift certificate from Barnes & Noble and lunch with district Chancellor Cindy L. Miles and Governing Board President Bill Garrett. As the instructional media services coordinator, it’s Bourget’s job to make sure the “smart carts” in the classrooms – the jumbo-sized lecterns used by instructors that contain computers, monitors, DVD players and connections to each classrooms LCD projector and screen – are working properly. She’s also the person behind the scenes when a conference or a student or campus event requires audio-visual equipment, which, these days, means she’s johnny-on-the-spot on countless occasions. According to the nomination form submitted by her boss, Connie Elder, dean of learning and technology resources, Bourget’s department provides support for nearly 300 non-classroom events during a typical academic year, including those in the performing arts theater, a venue used for both college and community events. Grossmont College will offer a “family-friendly” schedule of theater productions in the 2013-2014 season, starting Oct. 3-12 with Pygmalion, the George Bernard Shaw play that was converted into the musical My Fair Lady, and ending May 8-17 with “a new spin” on Alice in Wonderland, according to Beth Duggan, chair of the Theatre Arts Department. Whereas in some Grossmont College theatre seasons, plays with “adult language” have been featured, and may again in the future, this season the theater arts department has decided to reach out to families so that they will feel comfortable bringing their children to the campus, said Steve Baker, the college’s dean of arts, language and communication. When nursing students participate in Grossmont College’s traditional “pinning” ceremony Tuesday afternoon, June 4, more of them will be men than ever before—a sign of changing societal attitudes towards what once was considered a profession for women only. Debbie Yaddow, dean of Allied Health and Nursing, says eight men, or 20 percent of the graduating class of 40 students, are males, compared to what it was like just 30 years ago, when Yaddow graduated from Grossmont’s nursing school, and the class had zero males. Yaddow credited the nursing profession’s efforts and its campaign to broaden nursing for the turnabout in men’s thinking. She said that media campaigns such as one run by the Johnson Foundation, with posters and advertisements, help to popularize the idea that nursing is a profession for both genders and for people of all ethnic backgrounds. A campaign to improve student success is paying off at Grossmont and Cuyamaca colleges, where more than 1,700 graduates will receive a record number of degrees and certificates at commencements next week. Both colleges in the Grossmont-Cuyamaca Community College District have had to deal with four years of state budget reductions that have led to $16 million in funding losses and the slashing of hundreds of classes, potentially delaying students’ educational progress. To help students complete their education, the colleges launched student success initiatives like Cuyamaca College’s “Graduation Starts Today” program and provided additional guidance to help seniors clear that final hurdle to get to graduation. Last November’s passage of the Proposition 30 tax partially restored the coffers of public education, allowing the college district to restore some classes this spring that had fallen victim to the budget ax. The efforts have been a big plus, with the colleges experiencing a 14 percent increase in degrees and certificates awarded over the previous year. Forget your lazy days of summer. Hundreds of East County elementary and middle-schoolers will be busy engaging their minds and bodies while having fun at College for Kids classes at Cuyamaca College. The winning combination of fun and learning has proven so successful that 57 sections of classes – about 30 percent more than last year -- are now offered through the Grossmont-Cuyamaca Community College District’s Continuing Education program for youths, ages 8 to14. Registration just opened for the low-cost, mostly weeklong classes offered from 9 a.m. to noon and 1-4 p.m. Mondays through Thursdays, July 8-Aug. 1. Featuring a wide variety of workshops in art, dance, fitness, science, media and more, this summer’s College for Kids includes a new football camp for ages 8-11 and 12-14. Also new this summer is a trio of classes at the Heritage of the Americas Museum located on the college campus introducing youngsters to art and outdoor camping skills. LEMON GROVE -- The Grossmont Symphony Orchestra and Master Chorale will join flautist Suzanne Kennedy at 7:30 p.m., Wednesday, May 29 at St. John of the Cross Catholic Church, 8086 Broadway, in a performance that will feature the works of German, Russian and American composers. There is no admission charge, but freewill offerings will be accepted at the performance which will include Rimsky-Korsakov's "Capriccio Espagnol, Op. 34;” Robert Schumann's "Symphony No. 4, Op. 120 in D minor" and Leonard Bernstein's "Halil for solo flute and orchestra" as well as symphonic dances from Bernstein's Westside Story. Kennedy played flute and piccolo with the Orchestra Nova, and also serves as music director at St. John of the Cross Catholic Church. Music Director Randall Tweed of the Grossmont Symphony Orchestra and Master Chorale said he anticipates the performance will be an "international evening of sweeping vistas, brooding emotions and Latin theatrical dance." She was only 300 feet past the finish line when Laura Sim, an exercise science instructor at Grossmont College, felt the blasts and saw the giant plumes of smoke. 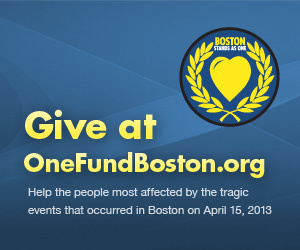 As news reports came in, Sim soon found out the terrible acts of terrorism that took place at the Boston Marathon. Sim, who has worked at Grossmont College since 1985, has run in the Boston Marathon -- or as runners call it, “Boston” -- 10 times since 2002. “It is pretty much every distance runner's dream to run Boston at some point in their life, and many never qualify,” Sim said. As well as running Boston, Sim has run in 22 marathons and several other shorter distance races. 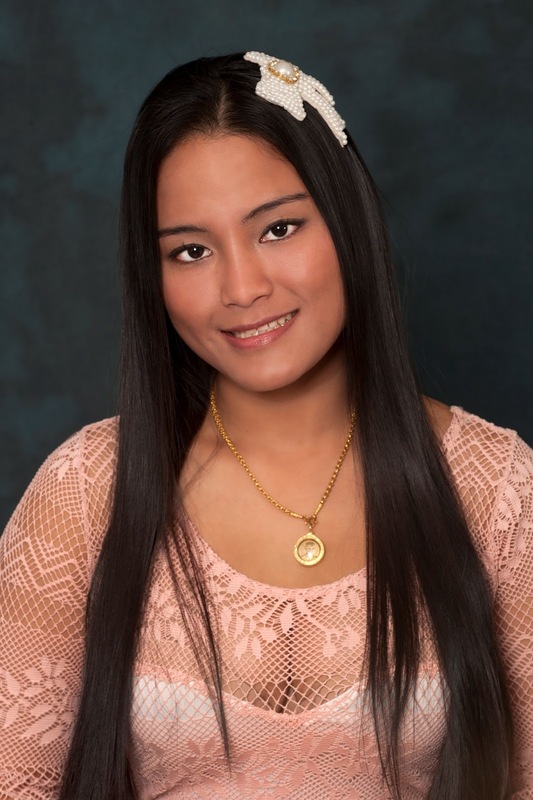 Grossmont College student Thirada Kingphuang has received from the San Diego Police Foundation a Rita Olsen Memorial scholarship of $2,500 awarded to women pursuing an education preparatory to a career in law enforcement. She said that she dreamed of catching the "bad guys" ever since she was a young girl. Until the 1990’s many criminal convictions were not based on evidence, but instead confessions, she said. However, Dr. Portnip Rojanasunand introduced Forensic Science for criminal investigations. Kingphuong said Dr. Rojanasunand is a role model for those who want to make sure that everyone is treated fairly within the criminal justice system. Kingphuang lost her father when she was six years old, which meant that from an early age she had to help provide for her family. Her traditional family told her that women must not do men’s work, so she decided to immigrate to the U.S. in order to follow her dream without giving daily offense to her family. Vanessa Dangerfield has volunteered more than 230 hours in the pediatric intensive care unit at Rady's Childrens Hospital since April 2011. She started volunteering after her newborn son spent 2 1/2 months in the neonatal ICU there. Her son was born in 2007 with a rare heart anomaly. Vanessa says it was during that period that she was inspired to go into nursing. After two years of improved health, her son had a sudden cardiac arrest in 2009 and passed away. Vanessa states her goal: "to ultimately become a pediatric cardiac nurse practitioner to help other 'heart warriors' and carry on my son's legacy." Dealing with all of the difficult emotions during her studies at Grossmont while completing the clinical requirements, Vanessa has truly turned a tragedy into a victory as she is a champion for others in accomplishing her career goal of becoming a neo-natal nurse. Grossmont College is an official pit stop for “Bike to Work Day 2013,” a nationally recognized event celebrated on the third Friday of May. Some 50 to 60 riders are expected from 6 to 9 a.m. May 17, in parking lot No. 1 at the intersection of Highwood Drive and Grossmont College Drive on the Grossmont College campus. This is the sixth year Grossmont has been a pit stop for the annual event. Some 90 stops will be available throughout the county. Sponsors of the Grossmont College stop include Trek Bicycle Superstore in La Mesa and the college’s student government, wellness initiative team leaders and the triathlon club. For employers looking to hone their workers’ skills, the Grossmont-Cuyamaca Community College District offers on-site, cost-effective training that can be uniquely tailored to fit employer schedules and needs. Contract training has long been offered by the district’s Continuing Education and Workforce Training unit, but greater recognition of community colleges as the dominant provider of workforce training is reflected in the continuing growth of the program. Over the past two years, the revenue generated by contract training has more than quadrupled and the district has also expanded its business clientele. From initially offering primarily occupational health and safety courses to companies such as BF Goodrich Aerospace in Chula Vista, the program has broadened its scope to providing credit courses to non-commercial clients. A disability services management class, for example, provided a head start to college for students at Health Sciences High and Middle College, a City Heights charter school preparing teens for health and medical careers. Classes in Kumeyaay language and ethnobotany are being taught at the Sycuan Indian Reservation. With a few exceptions, however, most contract training is directed to business and industry. East County residents in the business or construction fields are being sought to apply for a seat on the Grossmont-Cuyamaca Community College District’s Citizens’ Bond Oversight Committee, which will monitor spending on Proposition V, the college district’s $398 million bond measure passed by East County voters last November. The 10-member committee is responsible for ensuring that revenues from the bond measure are spent solely as promised. The committee reviews and reports on district spending of taxpayer money for construction and provides a public accounting of the district’s compliance with legal requirements. 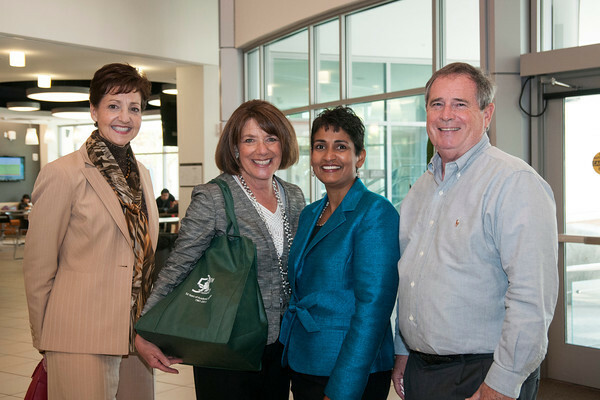 “This citizens committee plays an invaluable role in insuring that East County residents know how their dollars are being used to benefit the educational needs of our community,” Chancellor Cindy L. Miles said. Award winning author Tobias Wolff was welcomed by a full house Wednesday, May 1, when he came to do a reading and book signing as part of the Grossmont Colleges 17th annual Literary Arts Festival in Griffin Gate. Wolff is known for his memoirs, This Boy’s Life and In Pharaoh’s Army, and his short story collections, such as Garden of the North American Martyrs. Before doing a reading of one of his stories, Wolff spoke about his childhood and influences that brought him to where he is today as a professor at Stanford University and as a speaker at Grossmont College. Wolff was born in Birmingham, Alabama, in 1945 and traveled with his family to different states until they settled in Concrete, Washington. Until age 10, he grew up in southern Florida, a place where his fondest memory is of the library. His mother gave him his first book, a book by Albert Payson Terhune. Terhune’s books were from the point of view of collie dogs. Wolff was hooked. Grossmont College Theatre performing "An Ordinary Day"
A woman of a certain age contemplates suicide when the phone rings in her San Diego apartment. The caller, believing she is contacting an analyst she read about in a health magazine, launches into her own tale of woe. Dunya Mikhail is many things: a native of Iraq, a citizen of America, a respected poet, an award winner, and perhaps most of all, a brave and inspirational woman who has overcome many hurdles in order to live her dream. On Monday, April 29th, Mikhail read poems and spoke about her life at Grossmont College’s Griffin Gate as part of the college’s 17th Annual Literary Arts Festival. Mikhail was born in Baghdad in 1965 and lived there for 30 years, facing scrutiny from Iraqi censors and facing charges of being “anti-revolution” until she immigrated to the United States in 1995. The 2001 recipient of the U.N. Human Rights Award for Freedom in Writing, Mikhail has five books available in Arabic and two in English. Her first work published in English, The War Works Hard, won the 2005 PEN Translation Award and her second, Diary of a Wave Outside the Sea, was given the Arab American Book Award. Currently Mikhail lives and works in Detroit as a poet and lecturer on Arabic for Oakland University. Student Zorayda Leitch was introduced to Dunya Mikhail’s work through her English class at Grossmont three months ago, but already she is an ardent fan. She said Mikhail’s work plays an important role in telling the story of the wars in Iraq from a different, often overlooked, perspective. Leitch said she admires Mikhail not only for the work she produces but for the obstacles she has surmounted in order to do so. Rep. Susan Davis (D-San Diego) toured Grossmont College on Tuesday, praising the East County college for its strong support of student military veterans and the high-tech training it offers for aspiring nurses and other health professionals in the classrooms and labs of the Health and Sciences Complex . Davis marveled at how much Grossmont College had changed in recent years with a bevy of new and remodeled buildings constructed with funding from Proposition R, a construction bond measure approved by East County voters in 2002. “You have such a treasure here and the resources you have are really second to none,” Davis said of Grossmont College campus following her campus tour. As the representative for the 53rd Congressional District, which includes El Cajon, San Carlos, La Mesa, Lake Murray and Spring Valley in the East County, Davis was following up on an invitation for a tour of the college from a college district delegation that met with her in Washington, D.C. in February.